One doesn’t normally think of power when one thinks of a minivan, but the engineering team at Chrysler is out to change that with the new 2017 Chrysler Pacifica performance features. Oklahoma City and Edmond drivers who need both strength and practicality in their daily driver need look no further than the new Pacifica at AutoMax Chrysler, Dodge, Jeep, Ram. See how this capable minivan’s advanced performance technology stacks up, then schedule a test-drive to see how your family can benefit. The 2017 Pacifica is powered by Chrysler’s potent 3.6L 24-valve V6 engine with Variable Valve Timing. This engine is mated to the 9-speed automatic shiftable transmission with front-wheel drive (FWD) capable of generating as much as 287 hp and up to 262 lb.-ft. of peak torque. Thanks to the vehicle’s automatic start/stop technology which stops the engine when the vehicle comes to a halt and starts it again when the driver is ready to proceed, the Pacifica was able to deliver an impressive 18 mpg/city and 28 mpg/highway fuel efficiency in its most recent EPA testing. Active Grille Shutters – Standard on every trim, the active grille shutters enhance performance by allowing additional air into the engine, providing more efficient combustion and boosting power output. Engine Oil Cooler – Engine oil helps to lubricate and cool a vehicle’s engine. The Pacifica’s inclusion of an engine oil cooler makes that process more efficient and allows the minivan to operate under heavy loads with less strain. Likewise, a transmission oil cooler protects the transmission’s hundreds of moving parts from unnecessary wear. Advanced Braking – 4-wheel ABS, Hill Start Assist, Rainy Day Braking, Ready Alert Braking, and Smart Braking work in tandem to help drivers maintain control of the vehicle during bad weather and emergency maneuvers to keep cabin occupants safe. Stability Control – The Electronic Stability Control applies additional power to wheels that need it, preventing wheel skid when the road becomes slippery or when drivers need to make sudden stops. MacPherson Suspension – The legendary MacPherson independent front suspension and independent coil spring rear suspension ensure that the ride is comfortable, responsive, and controlled. Rack-and-Pinion – The standard rack-and-pinion steering provides reactive control and allows drivers to maneuver the full-sized vehicle through tight urban streets with ease. Engine Block Heater – The optional engine block heater allows drivers to warm up their Pacifica more easily in colder climates, providing better performance and reducing fuel costs. Impressive Towing – For families who like to take a bit of home with them, the Pacifica offers up to 3,600-pounds of available towing capacity, when properly equipped. Experience the 2017 Chrysler Pacifica performance first-hand to best see how it fits your needs. 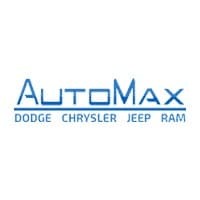 To schedule a Shawnee or Tulsa test-drive, contact AutoMax Dodge, Chrysler, Jeep, Ram at (405) 322-5398 or visit us at 4141 N. Harrison Ave in Shawnee, OK.